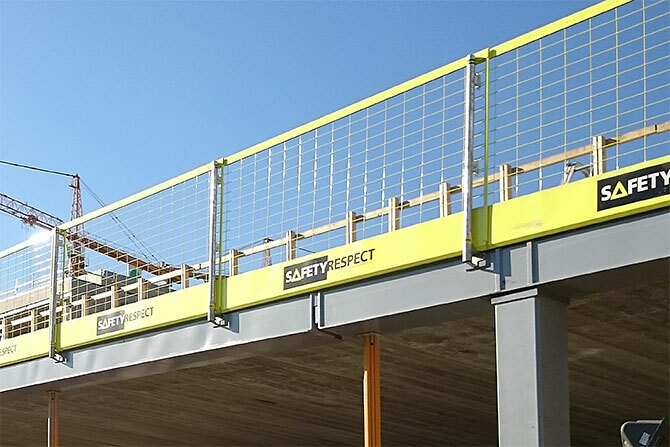 Pre-installed attachments in the framework onto steel beam considerably facilitate the attachment of the edge protection as the attachment already is in place. The remaining mounting of Posts and Barriers can be done either before lifting the beam or on the slab after attaching the beam. This saves time when doing the attachment, results in a safer working site as the attachment at the slab edge is minimised. 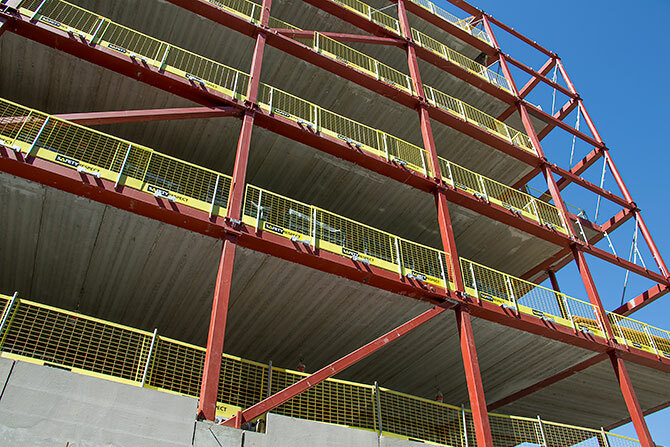 It also means that the edge protection will not be a hindrance as other work tasks are to be carried out on the slab.